It’s not often a piece of entertainment, or animation, in this case, stands the test of time to become a beloved classic. Of course, when it comes from the mind of Walt Disney and the Golden Age of Disney animation, it should surprise no one. One such classic was born seventy-five years ago when a little prince, known as Bambi, made his debut on the big screen. Since then generations have come to love Bambi. 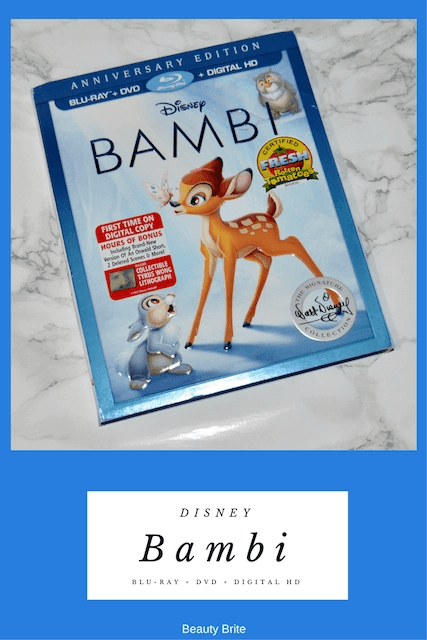 Disney is celebrating that anniversary with the release of Bambi The Anniversary Edition on Disney Movies Anywhere on May 23, and on Blu-ray™, DVD and On-Demand on June 6.